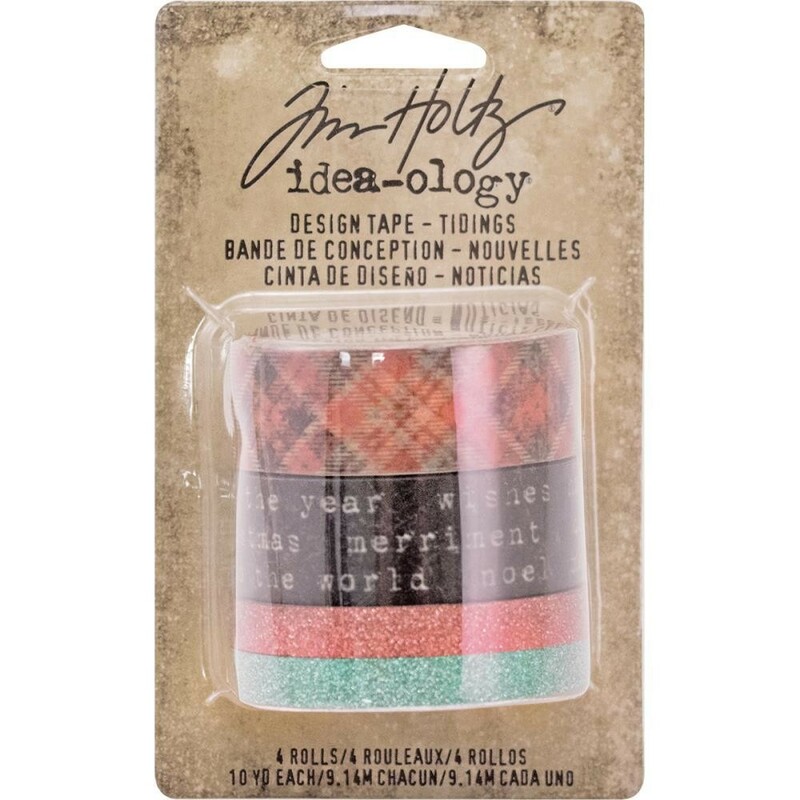 Tim Holtz-Idea Ology Design Tape: Tidings. The perfect addition to your paper crafts, mixed media projects and so much more! This 4- 1/4x2-3/4 inch package contains two 10 yard rolls of 1/4 inch wide design tape in two colors and two 10 yard rolls of 1/2 inch wide design tape in two colors.